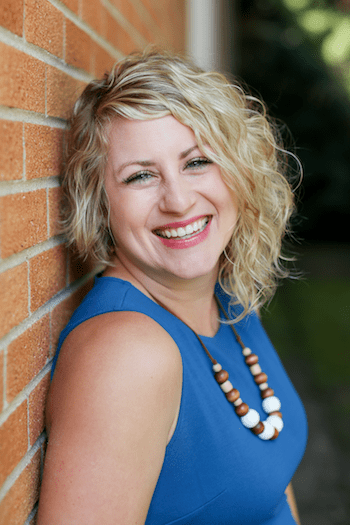 Christy is the creative gal behind Wired Whimsy. She is a stay-at-home-mom to two children whom she also home-schools. I sort of fell into the jewelry designing thing by accident, she says. 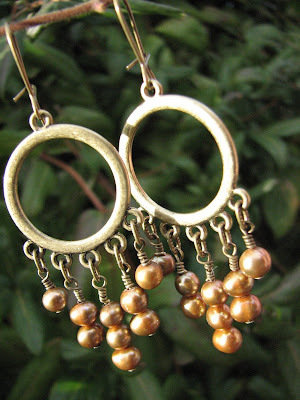 I made my first piece in August of 2009 and it was one of the first things I sold in my Etsy shop. It’s a great way to earn a little extra money while devoting most of my time and energy to educating my children. Look at this pair of earrings I found in her shop. 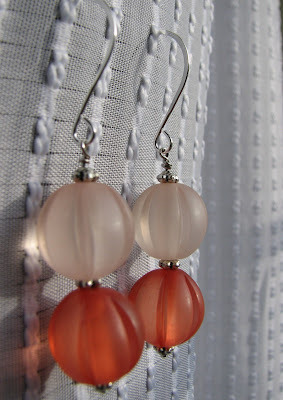 The Amber-color of the beads has me all giddy for the spring and summer seasons. 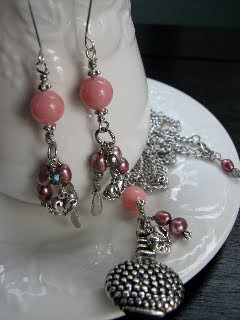 A large silver potion/perfume bottle, plum colored fresh water pearls, deep blue Czech glass beads, and large pink jade beads work beautifully together to make this a show-stopping set. 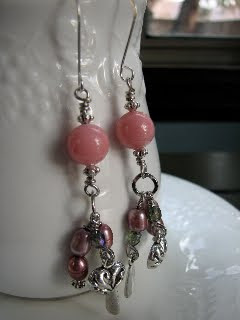 Truly feminine and romantic, with a splash of whimsy, this set definitely compensates for a bad hair day. 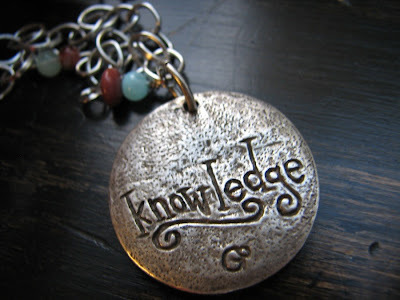 The pendant measures approx. 2 3/4 inches long and hangs from a chain approx. 25 inches long and is adjustable.